We have developed this 3 hour refresher session for first aiders in all environments. The 3 hour session will be delivered by one of our experienced trainers. You will deal with the most effective treatments for injuries, focusing on the skills that you learnt in the original training course. With the group, you will also discuss the responsibility that you have as the first aider and the relevant laws that you will need to follow. Practical demonstrations and exercises will be included in the training session so that you’re prepared for all of the different medical situations that you could face. To refresh the student’s knowledge and understanding of first aid so that they are able to deliver effective medical treatment. 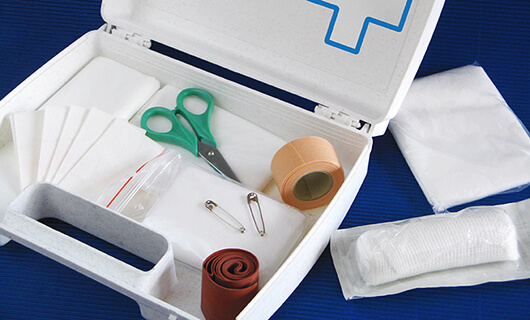 This course is intended for anyone holding a current Emergency First Aid at Work or First Aid at Work certificate. This course is accredited by FAIB but can be accredited by Qualsafe awards for a small extra fee depending on your needs. Please let us know if you want it to be accredited by Qualsafe when booking.